If you’ve been around Christ Community Church for any amount of time, you’ve probably seen Patrick Grant. Perhaps you’ve heard his deep voice echoing around the lobby. If you’re in Celebrate Recovery, you’ve no doubt seen him on stage, leading worship or giving his testimony. And you certainly can’t miss his infectious smile when he’s greeting you at the front doors on Sunday morning. In short, Patrick Grant is a fixture at CCC. It hasn’t always been that way, though. There was a time when his energies were directed to more destructive practices – things like using and selling drugs. Patrick, 55, is the youngest of four children, born and raised in the Columbus area. 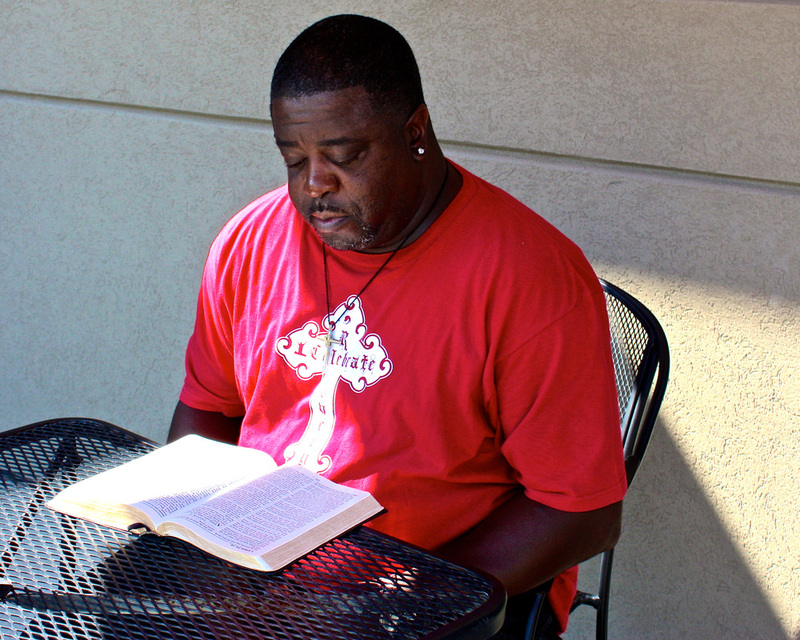 From his childhood as a self-proclaimed “Mama’s boy” (“My dad was around, but our conversations were brief,” he says) to his born-again identity as a warrior for Jesus Christ, Patrick’s life story has more twists and turns than the Chattahoochee River. But through it all, the fingerprints of God are evident. Ultimately he abandoned both college and sports, and joined the Army instead. By his late 20s he was back in the civilian world, working in a warehouse, twice-divorced and still trying to find his way. He had resigned himself to never marrying again, but then he met a woman, Rhonda, who captured his attention in a way no one else had before. They married and, though they had yet to realize a personal relationship with God, they attended a local church, albeit a somewhat unhealthy one. The Lord intervened in Patrick’s life again in 2007 when his son, Patrick II, came up one point short on his graduation test at Carver High School. 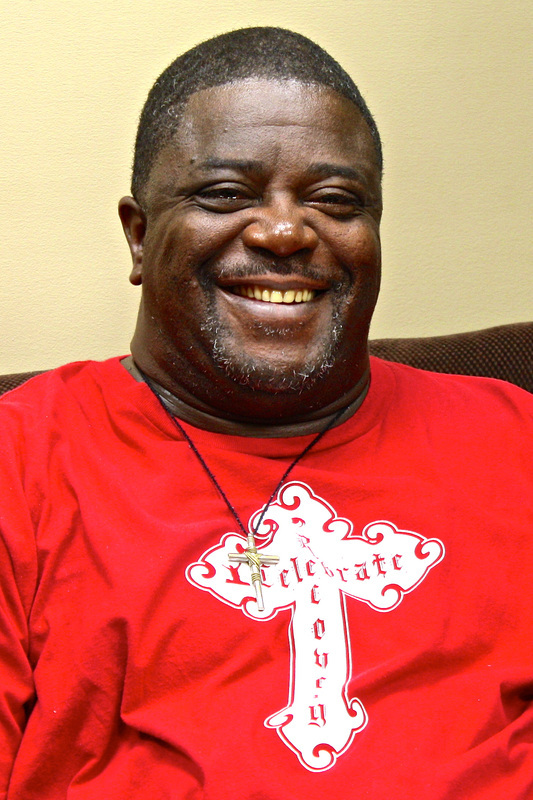 Carver’s then-head football coach, Dell McGee, learned that Patrick II could graduate by taking a summer course from another school in the area – a private Christian school. When the study materials arrived, the elder Grant took an interest and starting reading them. The next step in that eye-opening process came when an old friend showed up at Patrick’s house. 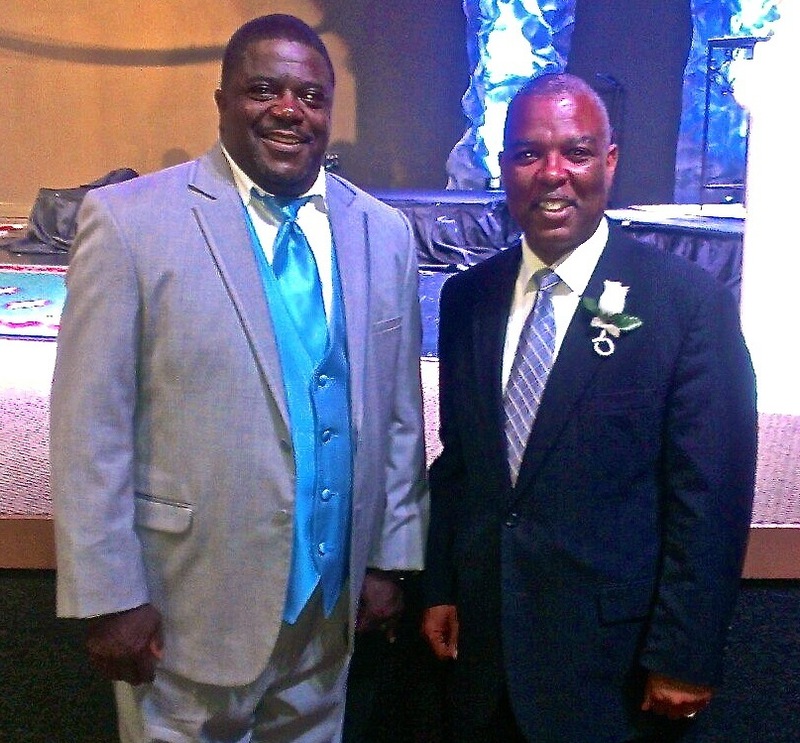 Derrick Shields had been transitioning from a real estate career into a pastoral role at Christ Community Church. He wanted Patrick to hear his first sermon. Ultimately, Patrick’s sense of loyalty won out. Shields’ wife, Andrea, was a client when Patrick worked as a cosmetologist, and Patrick and Derrick were involved in little league sports together over the years. “I don’t care when it was, or what I needed, I could call Derrick and ask for help,” Patrick remembers. “I could say, ‘I need a speaker at my little league banquet tonight,’ and he’d say, ‘All right, I’ll be there.’ I didn't want to go, but I couldn’t let him down, so I said, ‘Sure, man, I’ll be there.’ Then I got my son and said, ‘You’re gonna go with me.’"
Since CCC’s founding 15 years ago, one of its hallmarks has been a sense of warmth and an ability to make newcomers feel welcome. Patrick’s first point of contact when he arrived at the CCC campus (which at the time was a former car dealership off Macon Road) was Eric Kennedy, a greeter and one of CCC’s founding members. The Genesis account of Noah’s Ark got Patrick’s attention and instilled a hunger for God’s Word that continues today. Patrick first came to CCC at the invitation of Derrick Shields, a long-time friend who had joined the church staff in a pastoral role. No journey to healing is without bumps in the road. Even after he began attending Celebrate Recovery – a Christ-centered healing program for people with “hurts, habits and hangups” – Patrick continued to struggle with substance abuse and declining health, and his and Rhonda’s finances were deteriorating. When he became a no-show around CCC, Shields had to pay him another visit. “Derrick came to the house and I was just sitting there with the lights off,” Patrick recalls. “He said, ‘Where have you been? What are you doing? Why is it so dark in here?’ I said, ‘They’ve cut the water off and they’re gonna be cutting the lights off, so I’m just trying to get used to it.’ I was low – I mean, really, really low. With a personal relationship with God firmly established, Patrick continued to attend Celebrate Recovery and get a grip on his drug use. He stopped smoking, his health improved and his relationships healed. Today he’s a living testimony to the transforming power of Christ. Rhonda Grant saw dramatic changes come over her husband when he began attending CCC. Today the couple are influential leaders in the church's Celebrate Recovery ministry. Have you entered into a personal relationship with Christ as Patrick as done? If you would like to learn more, click here or contact one of our staff members.